Support oracle7-12 c version database file fragmentation, support DBF ora naked devices ASM, etc. Support small end big end data files, as well as large bigfile tablespace file. 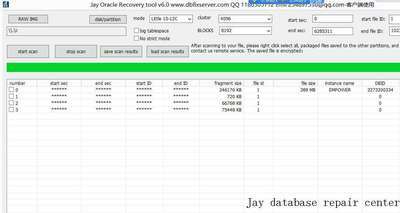 Support all kinds of operation platform, oracle database file is missing recovery and repair. Support the block size of 1024-32768 data files, support more than one table space file recovery. 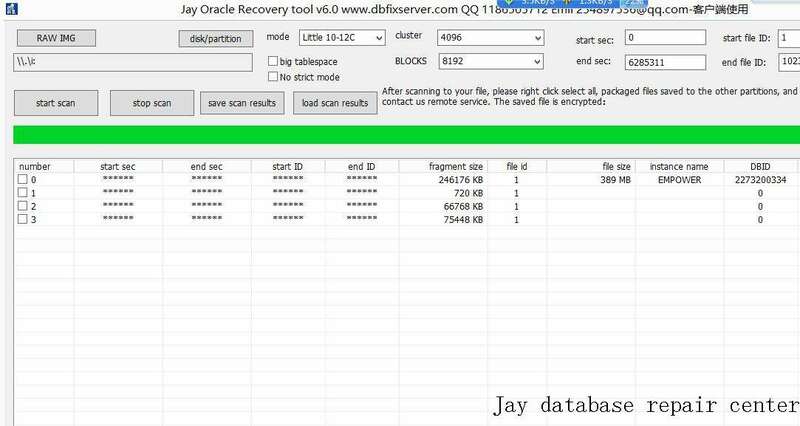 Support directly from the disk scan fragments For each table data into the oracle. Support ASM parse and extract files from the bottom of the damaged ASM disk group.